In the last couple of years, you may have noticed more and more pre-workout supplements featuring the amino acid L-citrulline or its common derivative L-citrulline-malate. L-citrulline has been around for decades and is even sold by prescription in Europe under the brand name Stimol®. Stimol® is used to treat a medical condition called asthenia (i.e. pathological symptoms of physical weakness and loss of strength). It is only in the last decade; however, that citrulline has emerged as a promising agent for boosting anaerobic and aerobic capacity. 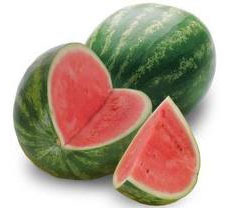 Citrulline’s name is derived from Citrullus, the Latin word for watermelon from which it was first isolated in 1930, and which is the main dietary source of this amino acid1. Garlic and onions are other good sources, but the total consumed volume of these foods are typically lower compared to watermelon. L-citrulline is classified as a non-essential a-amino acid and as such is not traditionally incorporated into proteins or nutritional/infant products. L-citrulline is produced in the body through two main pathways: (1) it is synthesised from glutamine by the cells lining the small intestine (i.e. enterocytes)2, 3; and (2) via the conversion of L-arginine to nitric oxide. Citrulline does not have any direct role in fat metabolism so there is no basis to make any claims for fat loss associated with supplemental citrulline. Theoretically, citrulline may positively affect fat metabolism by increasing nitric oxide, but this remains to be studied. In conventional medicine, citrulline is an established biomarker of small bowel function and mass. Low blood levels of citrulline can signal problems with small bowel function. So what relevance does this have for the average bodybuilder? Well supplementing with citrulline can help ensure healthy small bowel function. The small intestine is where the bulk of ingested nutrients are absorbed. If it’s not working properly, you can stuff all the nutritional supplements you like down your throat but their absorption will inevitably be hindered. So taking citrulline may help with your gastrointestinal health which is always an important consideration for avid bodybuilder’s normally eating 5-6 meals a day. The other major benefit of supplemental citrulline is its role in ammonia detoxification. Citrulline occurs as part of the body’s urea cycle in the liver; the purpose of which is to convert toxic ammonia to a less toxic form, namely, urea. The main source of ammonia actually comes from the protein in our diet, which when metabolised generates ammonia as a breakdown product. Because bodybuilding requires higher than average protein intake, there is always the risk that bodybuilders may not get enough of the right type of amino acids (i.e. arginine, citrulline, ornithine) in their diet to support the urea cycle and ammonia detoxification. Citrulline can help support urea cycle function and thus relieve any additional stress on the liver resulting from high protein intake in a typical bodybuilder’s diet. The reason that interest in L-citrulline has exploded in the last decade is due to its role as a precursor of the emphatic amino acid L-arginine. As it turns out, around 80% of orally ingested L-citrulline is transported to the kidneys where it is catabolised to L-arginine4. Moreover, L-citrulline has been shown to be more effective than L-arginine itself at raising blood levels of arginine5. Doesn’t make sense does it? Well, to understand why you need to know a bit about how L-arginine is metabolised when taken orally. L-arginine; as with most other amino acids; when consumed as part of a food or on its own is mostly withdrawn from the gastrointestinal tract and metabolised in the liver before reaching the general circulation. This is where L-citrulline differs; unlike arginine, it goes straight from the digestive tract into the blood stream; bypassing the liver altogether. The differences in how L-citrulline and L-arginine are metabolised has laid the platform for some exciting research on the links between L-citrulline’s and it capacity to enhance performance. Read our related article on L-citrulline’s benefits in strength and endurance training. Rimando AM, Perkins-Veazie PM. Determination of citrulline in watermelon rind. J Chromatogr A. 2005;1078(1-2):196-200. Curis E, Nicolis I, Moinard C, et al. Almost all about citrulline in mammals. Amino Acids. 2005;29(3):177-205. Rabier D, Kamoun P. Metabolism of citrulline in man. Amino Acids. 1995;9(4):299-316.